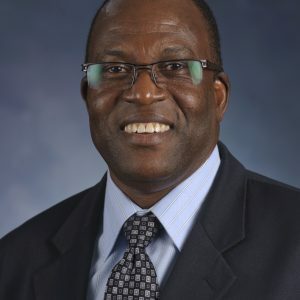 Dr. Ike Okosun is an Associate Professor and Director of Epidemiology and Biostatistics. His research focuses on investigating the epidemiology of metabolic syndrome, including obesity, diabetes, hypertension and dyslipidemia in populations of African origin. His current research involves investigating epigenetic markers underlying increased risk of high blood pressure and type 2 diabetes in populations of West-African ancestry. His aim is to disentangle the scientific puzzle of these diseases by exploring the role and relative contribution of (1) environmental changes due to migration and (2) the effect of migration on epigenetic modification via patterns of DNA methylation. The premise of his research is that environmental changes following migration alters DNA methylation levels creating epigenetic signature and subsequent increase in high blood pressure and type 2 diabetes. Dr. Okosun is a member of many scientific organizations and editorial boards. He is a Fellow of the Royal Society of Public Health, The Obesity Society, and The American College of Epidemiology.